A Pakistan defence expert has suggested that the country should consider creating gangs of terrorists and separatists to dismember the United Kingdom and Switzerland for allowing the flagging of ' Free Balochistan ' posters. "In retaliation, Should Pakistan also create terrorist/separatist gangs in Pakistan who should work to destroy/dismember UK & Switzerland? (sic)," Zaid Hamid, a Pakistani political commentator and defence expert, said in a tweet. He alleged that the UK was hosting the biggest terror network against Pakistan. "UK is hosting the biggest terror network operating against Pakistan. Altaf Hussain is a British citizen & mass murderer under UK protection," Hamid tweeted. 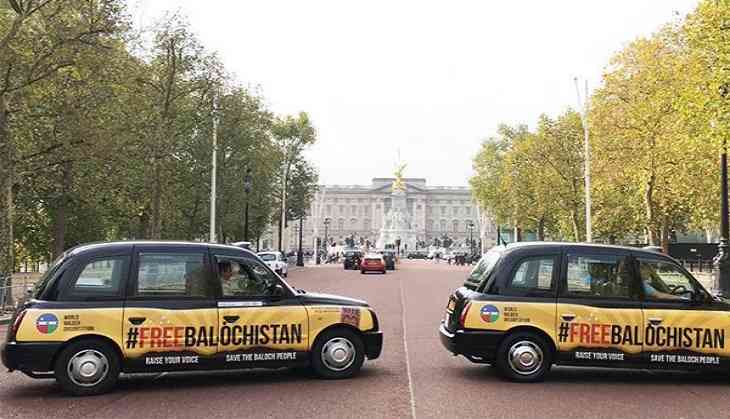 Hamid's reaction came after London taxis with the words ' Free Balochistan ' written on both sides were seen plying outside Buckingham Palace in what can be called as a new push by overseas Baloch groups to attract global attention to their cause for independence from Pakistan. 'Free Balochistan' posters embossed on several vehicles running on the road were seen in London this week to highlight human rights violations in Balochistan province. Pakistan on Friday summoned British High Commissioner Thomas Drew over the emergence of 'Free Balochistan' posters, which it said directly attacked its territorial integrity and sovereignty. A Baloch activist said that Pakistan's reaction over the posters is testimony to its suppressive nature, and its aggression to try to curb their rights in the UK. "Pakistan's reaction is testimony to its suppressive nature, aggressively trying to curb our rights in UK, imagine the situation in Balochistan," Bhawal Mengal? said in a tweet. Earlier, similar posters featuring 'Free Balochistan' had appeared in Geneva, including on the side of buses, demanding freedom for the separatist Balochistan region of south-west Pakistan. Pakistan had at that time also summoned Switzerland's envoy over the display of such posters in Geneva. The World Baloch Organisation (WBO) had organised a protest in September in front of the United Nations Human Rights Council (UNHRC) in Geneva to raise awareness of human rights violations in Balochistan. Human rights activists, Baloch representatives and allies of the Baloch cause came together during the 36th Session of the UNHRC to protest against gross human rights violations inflicted upon indigenous Baloch people. For decades in Balochistan, economic exploitation through the plundering of natural resources, and the systematic economic, social and political exclusion of indigenous Baloch people, has become the norm. In addition to this, enforced disappearances, extra-judicial killings and an escalating crackdown on freedom of expression are used as covert tools to brutally repress the Baloch peaceful struggle for justice, rights and equality. Since the construction of the China Pakistan Economic Corridor (CPEC)has begun, the Baloch have been forcefully cleared, enforcedly disappeared and effectively excluded from the project at all levels - despite plentiful promises made by the Pakistani authorities of development and employment.